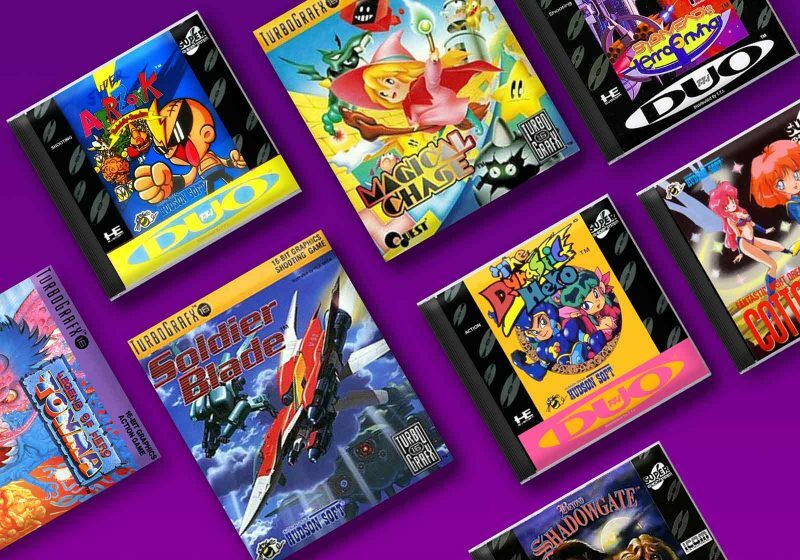 The TurboGrafx–16 and PC Engine has seen a great increase in popularity as retro gaming collectors have been expanding their console lineup to include this platform of great arcade ports, quality original titles, and lots of amazing scrolling shooters. Back when we last published this guide in 2010, many TG16/PC Engine collectors inclined to buy, sell, and trade amongst themselves as opposed to using eBay or similar services. This helped keep prices down and values relatively affordable. 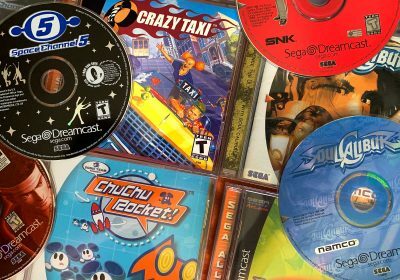 Since then, the collecting market has heated up (especially with the platform’s powerful Shmup library) and eBay has become more common for sales of these games. You’ll see a lot of increases since 2010 and we will try to make notes to help you navigate the changes. It is also worth mentioning that reproductions (including some convincing, high quality products) have been populating eBay quite a bit. We try our best to filters these out of our price ranges. And even though there are some products like the Everdrive to help TG16 hardware owners cope with game costs, it hasn’t reduced values any. As one of the most colorful and charming cute-em-ups on the TG16 and PC Engine, it’s hard to resist Magical Chase. Colorful and fast moving, the sprites and animations are great, not to mention lots of other special graphical effects. In addition to the eye candy, it’s a pretty fun game. Back in 2010, it seem crazy enough to spend $500 to $2000 on the North America release of the game, however in high short years it has seen a huge 4X to 6X increase in value. 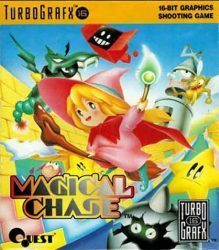 Even thought Magical Chase gets most of the attention due to its high resale value, The Dynastic Hero is said to be one of the absolute hardest TurboGrafix title to track down in its original form. However, The Dynastic Hero is actually a slightly-rebranded version of Wonder Boy in Monster World (Master System/Genesis) with pallete-swapped visuals (think Doki Doki Panic vs North America’s Super Mario Bros. 2). However, it does benefit from a CD soundtrack that separates it from its peers. The Dynasitic Hero was also one of the very last North American releases — Bonk 3 was released just a bit later, but understandably, had a higher print run. Another fast-riser, The Dynastic Hero has increased 2X to 3X from it’s 2010 value range of $300 to $500. From the talented team at Irem (best known for R-Type) comes an arcade-based platformer that shows some gameplay similarities to their other arcade classic (and more well-known TG16 port), Ninja Spirit. 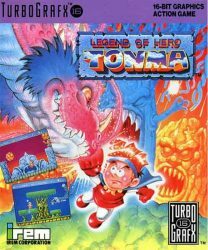 However, Legend of Hero Tonma has a brighter styling that is reminiscent of Wonder Boy. There was two years between the game’s release in Japan on the PC Engine and its localization to North America. By the time it came out on the TG16 in 1993, it was in the final batch of TurboChips to market. Considering some more questionable name changes in PC Engine-to-Turbografx transitions, keeping the rather “un-American” title didn’t help sales any and forced a rather limited print run. The gem went under the radar for quite a while. Back in 2010, you could score this game for $30 to $100. In eight short years, it has increased in value many times over. This second installment of the high-quality shmup reboot of the Bonk series is one of the most accessible and stylish shmups on the TG16, so it isn’t a huge surprise that is remains in demand. Many fans will argue that the graphics doesn’t quite live up to its HuCard predecessor, but it’s CD Audio soundtracks helps sweeten the deal. Despite featuring the TG16’s mascot and being in the console’s popular shooter genre, the game was in rather limited supply. 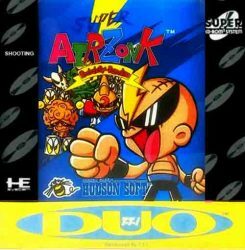 Super Air Zonk was one of the final handful of North American releases as Hudson didn’t want to risk putting out too many units for the platform as it was losing market share to the Genesis and Super Nintendo. The power of shmup collecting is also shown strongly here with Super Air Zonk increasing in value 3X to 4X from its 2010 range of $200 to $380. This shooter has average gameplay but some interesting visual design. The game has good music and adopts a pre-rendered graphical style with designs by futurist Syd Mead, who is responsible for the backdrops of productions like Blade Runner, Time Cop, and Star Trek. Unfortunately, as a shooter, TerraForming’s gameplay is simply average. Some of the actual level designs are quite repetitive and rely a bit too much on Mr. Mead’s design work and a aggressive parallax scrolling effects to entertain you. Some of the disappointments from a gameplay perspective may have been due to tight deadlines at the end of the console’s life. Terraforming was the last Super CD release in the US right after Sherlock Holmes 2 and Buster Bros, so the small publisher, Right Stuff most likely wanted to get the game out the door to gather what sales they could. Even though it is far from one of the most impressive shmups on the TurboGrafx, Terraforming has still seen quite a climb on this value chart. Back in 2010, you could find it for a relativly lofty $120 to $185 range. Eight years later, you’re looking at a 5X increase. 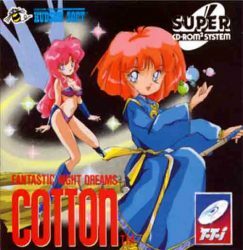 Much like Magical Chase, mentioned above, Cotton is a cute-em-up featuring a child-like witch riding a broom. Similarities aside, this arcade port stands well on its own and is the first in a classic franchise of shooters. The game was well received in Japan, but often got overlooked in North America especially being released in 1993. 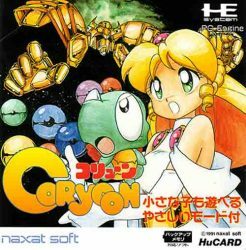 Shmups are increasingly becoming collectors items for the PC Engine and TurboGrafx and Cotton is one of the best shooters to make it outside of Japan on the TG16 outside of the mainstay releases from Hudson, which often saw much larger print runs. The third game in the trademark series, Bonk’s Big Adventure, brought 2 player simultaneous action to the Bonk universe. In addition to multiplayer, Bonk 3 brought to ability to transform into Giant Bonk, or shrink to Tiny Bonk, by picking up colored pieces of candy. 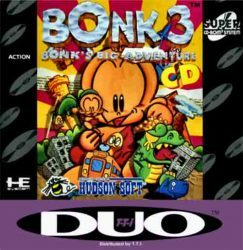 Interestingly enough, Bonk 3 was released in both HuCard and Turbo CD format in North America. Bonk 3 was the last TurboChip released in the US (August 1993 — right after Magical Chase was released in July 1993). Much like Super Air Zonk, it was relatively surprising that a Bonk game was released in such limited supply, but splitting the inventory between a HuCard format and a Super CD did not help the situation. After being the more affordable variation of the game (the CD version did have some upgrades, after all), the TurboChip version nearly doubled in value since 2010, now having an average value higher than its CD counterpart. 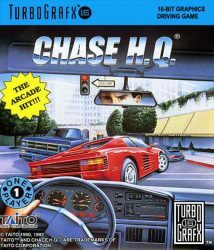 This port from Taito’s arcade series of police chase racing games saw lot of ports in the late 80’s and early 90’s. Pretty much all the major consoles of the era saw a port one way or another and it also didn’t have the quite the gameplay refinement or franchise recognition of something like Outrun. Granted, the TG16 version was one of the more superior ports, but with such widespread coverage, most gamers or even collectors didn’t give much attention to this TG16 release. Copies of this game really don’t show up often. 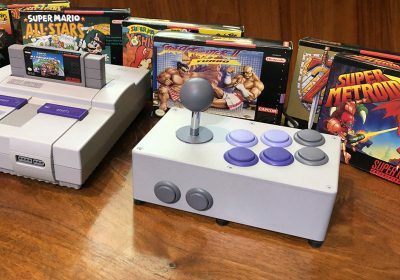 When they do and the extra items such as the box and manual show up in good condition, the bidding can get pretty heated. At least the box cover art is pretty cool. Before 2014, you could score this game for between $50 to $80 with ease if you could find it. 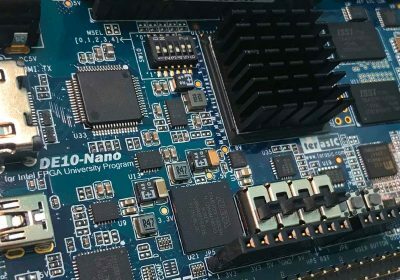 Now, you’re lucky to get a bare TurboChip for under $100. 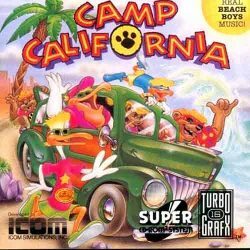 This rather roughly-designed platformer released by Icom in 1993 as a US exclusive features the “Official Mascots of The Beach Boys” and some classic Beach Boys tunes worked into the soundtrack. Otherwise, it features anthropomorphic animals in a game that just isn’t designed well or have good controls. Camp California remains a very low-run game with an relatively odd licensing choice for one a suffering console in the US market. Back as recently as 2012, you could have easily scored a complete (or even sealed!) copy of this game for less than $100. It has really been more in the last three or four years that Tubro collectors have been noticing that this game doesn’t show up very often and they need to outbid heavily if they want to secure one of their collections. I wouldn’t be surprised if this one continues to rise a bit. An adventure game (King’s Quest style) that was supposedly in co-development for the PC, but eventually became a TurboGrafx exclusive. This little gem includes lots of good puzzles and an incredible number of interesting ways to die. 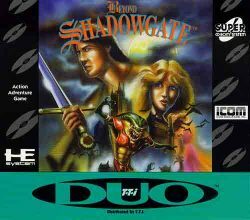 Beyond Shadowgate is a creative and truly under-exposed entry in the adventure genre that most genre fans will love. Of course, being a late release in 1993 also contributed to having a relatively small print run. Lower-end condition copies fo the game were still in the $150 range in 2010, but mint copies have pretty much doubled from their $220 price point. 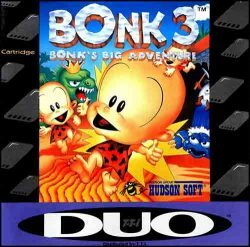 Unlike the TurboCard version, the CD version of Bonk 3 was only released in North America. 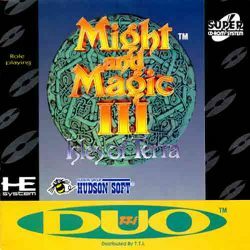 The CD version obviously benefited from a CD soundtrack, but also featured some multiplayer minigames. 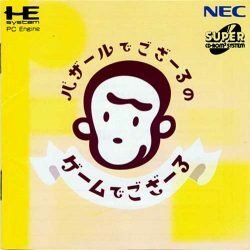 It is also worth mentioning that Bonk 3 is the last Super CD release in the US (right after Super Air Zonk). Back in 2010, the CD version commanded a bit of a premium at $200 to $300. It’s now easier to find loose and less complete copies for a lower price, but complete copies have increased bit over the years. Perhaps reproductions have taken a bit of a hit out of the values or its possible that the Hu Card version is indeed a bit trickier to find. This CD sequel to popular TG16 action RPG plays much like its predecessor but shows a great deal of refinement and technical advancement. You chose your character from a variety of fantasy character and set forth in a Gauntlet-style adventure. The CD format allowed for a greater quantity and variety of levels to compliment the storyline, with new areas and characters becoming open to you as you progress. 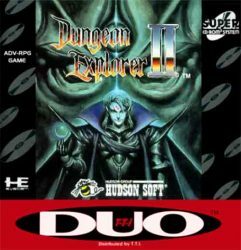 Dungeon Explorer II expands the lineup of playable character types to a roster of sixteen. Much like many of the titles on this list, the game was released in 1993. The Japanese version of the game is quite easy to find, but an original copy of the North American release is quite the rarity. Since 2010, we have only seen modest increases in loose and lesser-condition copies, but mint copies have doubled in value since then. This installment from the classic RPG series was the second one to surface on the TurboGrafx. Between being available on a lot of different platforms at the time (especially for DOS and the Super Nintendo in the US), the TurboGrafx–16 port was a low priority for gamers when it was released. Being published all the way into October of 1993 resulted in a pretty limited print run. Considering that the game has been released on a handful of other platforms, this is pretty much a pure collector’s piece. In 2010, the game was priced in the $125 to $225 range. Lower-end copies have increased mildly, but mint copies are close to being twice their previous value. The Star Soldier releases are fun, vertical scrolling, challenging shooters that should appeal greatly to people who long for a time when shooters weren’t just tedious exercises in dodging patterned bullet spreads. 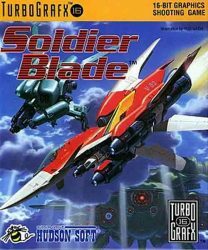 Soldier Blade changed the weapon system completely from Super Star Soldier and upped the ante with equally impressive graphics and better music. It showed great refinement from Hudson on an already solid formula. The end result is one of the most classic and desirable shooters on one of the best shmup platforms of all time. Soldier Blade wasn’t a especially late release (1992) and isn’t quite as rare as most of the games on this list, but it’s one of the best TG16 exclusives out there, so it’s always in demand. 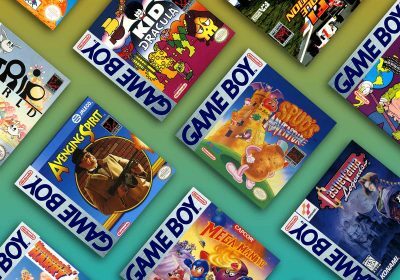 Even though the game can now be purchased on a handful of download services or shmup complications, its iconic place in the Turbografx–16 library keeps the resale value high and demand strong. Since 2010, copies of Soldier Blade have pretty much doubled at all conditions. However, for as iconic as this game is in the collectable shmup library, it is understandable and less extreme than many others on this list. Even though Sapphire (see below) usually steals some of the attention due to its graphical flair, Darius Alpha is actually the one of the rarest PC Engine games and can sometimes be considered the most expensive Japanese release. This release features a straight run-through of only the bosses from Darius Plus. It also has enhanced graphics when played on the SuperGrafx hardware (but is still backwards compatible on the standard PC Engine). 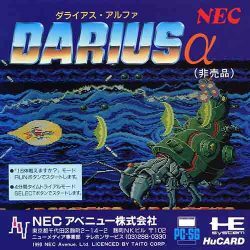 Originally, in order to get their hands on this rarity, Japanese PC Engine owners had to purchase the Hu-Card and the Super CD version of Darius Plus and then send in the coupons from the manuals to enter themselves in a drawing. The first 800 names drawn in the competition were awarded the Darius Alpha Hu-Card. In addition, some copies of the game were distributed as prizes by magazines such as PC Engine Gekken and Marakatsu. It’s harder to find a “cheap” copy (used to be able to score as low as $350 in 2010), but the high price range has stayed consistent. However, the super limited numbers for this excellent arcade shmup port also ensures it doesn’t change hands often. Hudson’s shooters are always well-received, whether developed by Hudson themselves or gifted contractors. This legendarily-expensive Turbo Duo game isn’t overly challenging, but it will impress you with its technical prowess. 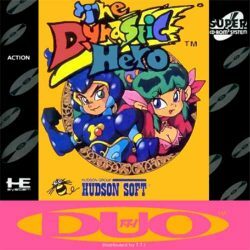 As a late-era Turbo-Duo import that makes the most a massive RAM expansion to provide plenty of frames of animation for the game’s colorful sprites and lots of background tiles. The graphical lure and the exclusivity of the title to the PC Engine has kept the demand for Sapphire extremely high over the years. Some knock-off/pirate runs were also made and are circulating around on eBay and other places (usually for far lower prices), meaning this title is relatively attainable, but originals are not very common. Saphire has always been a pretty hyped collectable, so its not completely surprising it hasn’t increased in value much since 2010. However, the high frequency of attractive reproductions have also been a contributing factor. 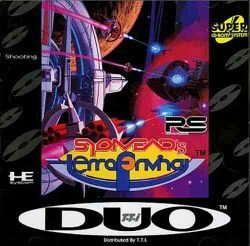 It’s no secret that the PC Engine is one of the best consoles for 2D shooter fans and Slyphia is just the third shooter on this list. This shmup from Compile had a very limited print run and it seems that most of the copies have ended up in the hands of collectors who aren’t looking to sell anytime soon. Most Compile fans will agree that Sylphia isn’t necessary the best of their epic releases on the platform, but the Compile team branched out into a setting based on Greek mythology for this rare shooter. Sylphia seems to make better use of the mythology theme than other shooters. The design and variety of levels and characters feel cohesive, appealing, and sets the game apart from its peers. 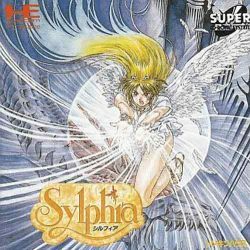 With shmups becoming more collectible and the more hidden gems of the shooter library starting to come to light more, Sylphia has doubled to tripled in value from its $100 to $240 price range back in 2010. While Magical Chase gets most of the attention as a cute-em-up rarity, Coryoon is the hidden gem of the bunch. In addition to some great shooting action, it really shows off what the original PC Engine setup was capable of with lots of colorful sprites filling the screen. It’s a beauty and a joy to play thanks to its top-notch controls. It is no wonder than shmup collectors have been making this a high priority to add to their collections, causing this game to crawl out of obscurity into high value territory. Not only was this released near the tail end of Hu-Card productions, but it has yet to see release outside of Japan or on any legit digital download service, which renders his game more of an elite acquisition than such a friendly outing ought to be. Years before they teamed up with Nintendo on the Pokémon franchise, Game Freak developed this puzzle platformer with a monkey hero. Despite its pedigree, this title is probably one of the least-know games on this list, but it’s quite hard to find and typically brings in some serious cash when it shows up. 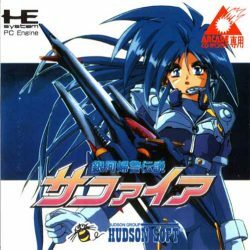 It was released in July of 1996 (three years after US TG16 releases dried up) — making it one of the last licensed retailed PC Engine releases, so it’s not surprising that it had a pretty low print run. The reputation of this game has grown a bit and values have appreciated from its $150 to $350 price range in 2010. Chi no Rondo is not only one of the best Castlevania games of all time, but it was probably one of the most impressive games released for the PC Engine in Japan. 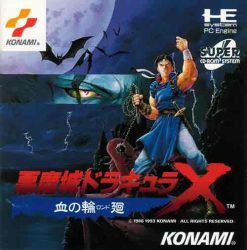 Dracula X introduced Richter and Maria, as well as the new graphical style and fluid animations Castlevania games would employ for years to come. Many of the enemy graphics in SoTN came directly from Dracula X with little modification. This is because the PC Engine game went all out with great graphics and an incredible level of animation. If this game had been translated and released earlier in the US (it has since shown up on the PSP and download services) it could have brought more fans and revenue to the tail end of the TG–16’s life. Despite new ways of playing this game on different platforms, Rondo of Blood still managed to appreciate nicely from the $100 to $185 range in 2010 on its native platform. Great list! You guys do such an amazing job here. One thing though, just to keep anyone from scouring eBay for something that doesn’t exist… As far as the US release of Ys I & II goes… It’s not a SuperCD (just a regular TurboGrafx-CD) and there was no map included. Ys: Books I & II was released twice: once as a stand-along title for the TG16 CD, and also as a pack-in title with the Turbo Duo. The original boxed, stand-alone version came with a black and white map, but I’m pretty sure the Turbo Duo pack-in copy did not. Hope this clears things up! I still have my turbo grafx 16 system with cdplayer and games including bomberman. I never thought it would be worth money. I also have the multi controller adapter. I was at a outdoor flea market, and this guy had Magical Chase buried under loads of VHS tapes. I found it in an empty VideoPort case. I got it for 50 cents. I had no idea how much it was worth until I saw this, I had it for 2 years before I finally knew. I bought a TG 16 collection from a guy a few weeks ago with almost 40 games (35 CIB). The seller approached me as I always advertise retro games for sale on classifieds sites and saw an ad and decided to contact me to give it a shot. He said he’s moving to a different country and his wife is nagging about all the junk he has and he needed to get rid of it. I’ve heard of the console before but never really owned one. I looked it up on eBay and I thought I was getting an amazing deal for the whole lot for only $200. Great titles were included like Air Zonk, Bonk, Splatterhouse, Parasol Stars and many more. 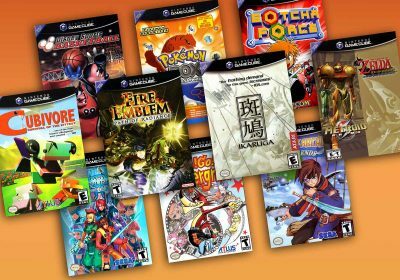 The TG is an incredibly underrated console with so many good games. I enjoyed testing and playing every game. I later decided that I should sell a couple of the repeated games just to cover the cost and add the rest of the lot to my personal collection. I decided I should price each game based on past eBay auctions to get a proper estimate on how much they sell for before putting some of them up for sell. I checked the first two games (New Adventure Island & Zonk) and was very happy to see that I can cover my cost by just selling these two alone. And then I come across one game and when I looked it up, I went into an immediate state of shock. It was Magical Chase, loose but manual included. Game and manual are in MINT condition. A loose copy sold in an auction on eBay for $2,000. I was f***ing stunned. CIB reached 5,000 in the past! I am still in shock at how one of the rarest and most sought after games just simply fell in my lap like that. Never listen to your wife. As a miniature update of source, the TG-16 market has been on a substantial uptick in recent years. Last year I sold a complete Air Zonk (not Super Air Zonk, but the original) for $400, compared to the $43 I spent for it in 2008. The reason for the substantial uptick, as far as I can tell, is because of the nature of TG-16 longboxes. Unlike PC Engine, nearly every TG-16 release not only got the jewel box like PC Engine releases had, but also a carboard outer longbox with a piece of foam to the jewel case and hucard from jiggling around. Every NA release that I know of got these longboxes. Not a lot of gamers held onto these longboxes, however. Most likely because the jewel cases seemed good enough and had the instruction manual for a cover and name of the game on the spine, many of the longboxes were discarded or destroyed. Because of this, most “complete” copies of TG-16 games on auction sites aren’t truly complete, unless they include the cardboard outer longbox (the foam insert is easily replaceable). Ten years ago, the longboxes were not as well known about by collectors. With the price of complete TG-16 games today, it would seem they’ve caught on. I noticed that! Seems like way harder to build a complete collection then the Sega CD and Saturn or NES/SNES. 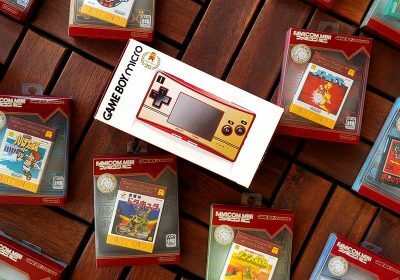 Cardboard can be hard as it is, but when it also comes with a plastic case inside, there wasn’t as much incentive to keep the cardboard back in those days. I used to have a complete copy of Magical Chase. I bought it in 1996 from a video store in small town Mississippi for a whole $10. Had no idea it was all that rare until a few years after it was destroyed in a house fire in 2005. So unfortunately there’s at least one less copy in the world.